In 2012, Filipinos were officially ranked as one of the happiest people in the world. That goes to show that despite widespread poverty, Philippines remains a paradise of happy, positive-thinking citizens. Naysayers will raise their eyebrows, for sure, but a lot of things are always ready to prove that Filipinos do love humor. Just look at those funny business names around the streets. 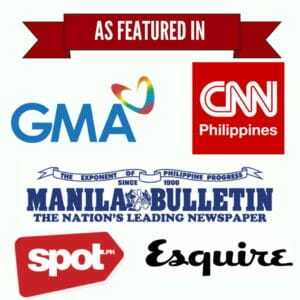 From movie parodies to out-of-this-world ideas, Pinoy establishments really have their way to catch people’s attention. With their humorous names, these local businesses are easily recognized by choosy customers. So strong is this strategy that even simple mom-and-pop eateries can get massive social media exposure…for free! Now that’s what you call effective marketing. 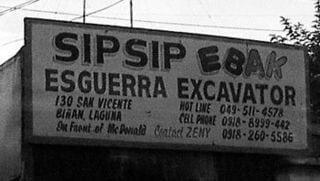 Listed down are ten of the funniest Pinoy business names that exist around the metro and Philippine provinces. Feel free to add your own hilarious discoveries on the comment section below. 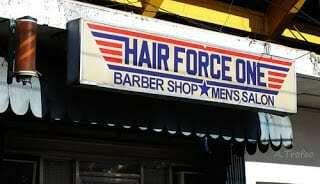 Hair Force One: Inspired by a Hollywood action-thriller, this barber shop is perfect for guys who love those manly haircut done by equally manly barbers. 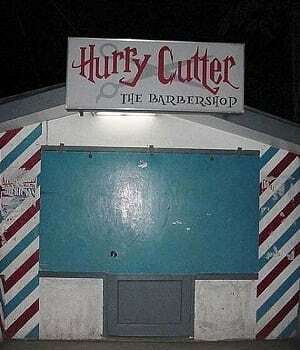 Hurry Cutter: A barber shop for the wizards and witches? You bet! 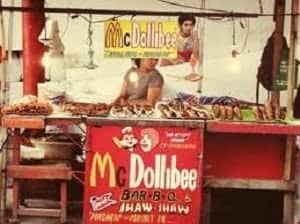 McDollibee: It may sound like a fusion between McDonald’s and Jollibee but this Baguio-based stall is no fast food chain. Selling affordable barbecue with rice, McDollibee is a haven for the budget-conscious. 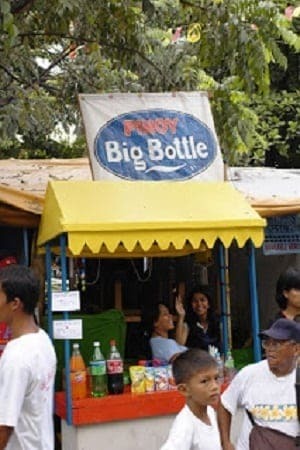 Pinoy Big Bottle: The real Big Broter must have been scratching his head when he saw this small sidewalk stall. Peddling snacks and “big” bottles of soft drinks, this store is probably owned by Big Brother’s biggest fan. 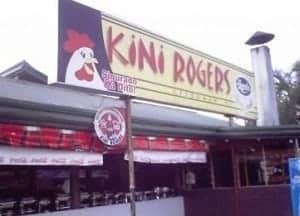 Kini Rogers: Affordable chicken meals? It’s more fun (and way cheaper) in the Philippines. Here’s Kini Rogers, a local turo-turo, to prove it. 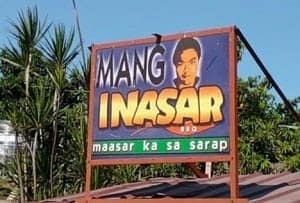 Mang Inasar: Bacolod’s well-loved chicken inasal is one of the reasons why the restaurant Mang Inasal hit it big. But don’t underestimate the power of small eateries. 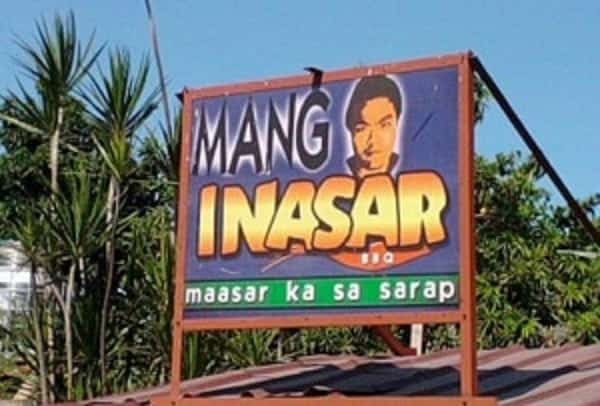 Mang Inasar, for example, didn’t think twice to use a little humor even for it’s tagline: Maasar ka sa sarap. We are now left to wonder what their chicken barbecue tastes like. 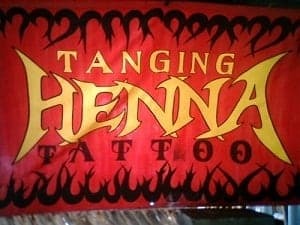 Tanging Henna: A trip to Puerto Gallera won’t be complete without you wearing a henna tattoo. And there’s no cooler way to get it than going to this Tanging Ina-inspired tattoo shop. For one, it’s easier to remember, thanks to the help of the equally hilarious movie title. Sipsip Ebak: Sorry for those who are having dinner but this one’s really deserve a spot. Forget its kadiri factor and just think of how many households they help in cleaning human crap. 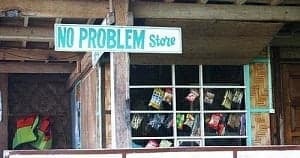 No Problem Store: Short of coins? Craving for a quick merienda? No problem. This sari-sari store virtually have all the help you need. Cooking ng Ina Mo: Any list of funny names won’t be complete without the legendary Cooking ng Ina Mo, a popular carinderia near the Mandaluyong City Hall. 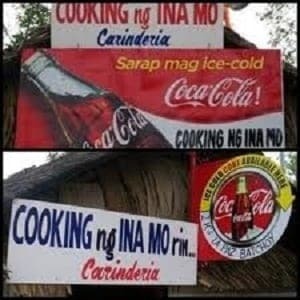 It probably gained massive following that its rival store across the street decided to change its name into Cooking ng Ina Mo Rin. These are just few of the many catchy names you can find in the Philippines. And the fun doesn’t end in business names. From film titles to street signage, Pinoy humor never fails to impress. Do you have a funny name in mind? Share you thoughts on the comment section below and let the fun begin!